About one in three residents in Bucks County Nursing Homes suffered harm related to their treatment? Almost 90% of all Bucks County Nursing Homes have been cited for health deficiencies? Even in the best Bucks County Nursing Homes problems often happen, and visiting is simply not enough to prevent abuse, neglect or improper care? Each of our clients has unique needs. We have a range of services to meet those needs. 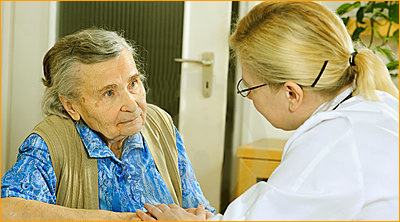 Typically, our Registered Nurse visits your parent on a regular basis at their Bucks County nursing home. We also collect and analyze specific records and produce an easy to understand summary of the actual care your loved one is receiving. The frequency of this service and the depth of the analysis depend on each case. Our service works because Bucks County nursing homes provide better care when they know they are being monitored. Additionally, our review helps insure that when problems arise, they are identified, diagnosed, and treated early.